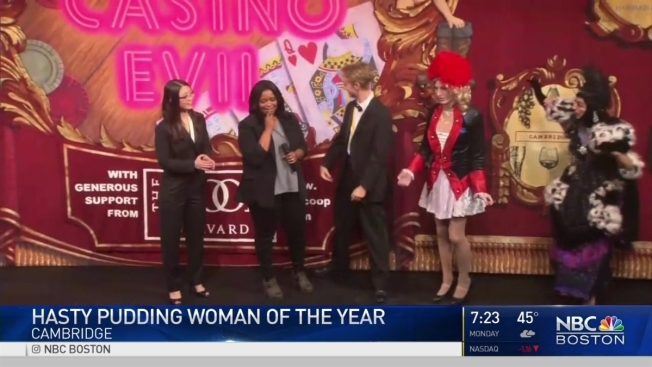 Academy Award-winning actress Octavia Spencer paid homage to Mary Tyler Moore and talked about her inspiring film roles Thursday while picking up yet another award: Woman of the Year by Harvard University's Hasty Pudding Theatricals. Fresh off her nomination for a second Oscar, Spencer was honored with a parade through the streets of Cambridge, followed by a roast and the presentation of her pudding pot. "That pot was hard to get," she joked when asked how it compared with an Oscar. "It was difficult to get, but it was one that will be forever indelibly etched in my memories. This has just been so much fun today." Spencer won an Academy Award for Best Supporting Actress for her portrayal of Minny Jackson in 2011's "The Help." She was nominated Tuesday in the same category for her role in "Hidden Figures," a film about the behind-the-scenes contributions of several black women in the early years of the NASA program. Spencer said she was touched by the fans who called her an inspiration Thursday. "That really touches my heart because I have the luxury now of getting to choose ... the characters that I play," she said. 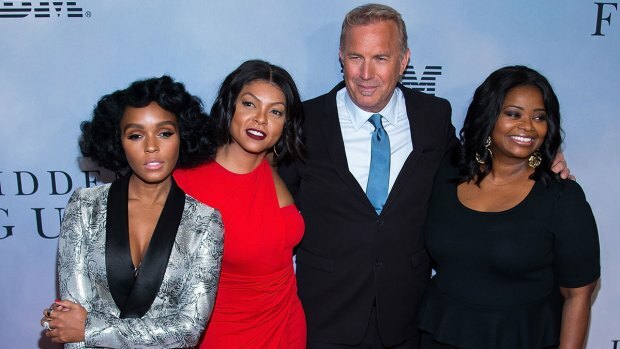 "One of the things that I like to do is choose movies ... that will allow for a little escapism but also educate while entertaining, and I think 'Hidden Figures' does that on so many levels." Spencer said Mary Tyler Moore, the iconic actress who died Wednesday, changed "how we view women, and how we view independent women." "It's definitely a loss for the entertainment community as well as the public at large because she shaped a generation of independents and she will definitely be missed," she said. The Hasty Pudding award has been handed out annually since 1951 to people who have made lasting and impressive contributions to the world of entertainment.